The wolves are back and are spreading in Germany. They’ve been spotted all over – in Lower Saxony, Saxony and North Rhine-Westphalia. Currently there are 73 packs in the wild, as well as 29 pairs, altogether around 800 of the predators. And every so often there are encounters between humans and wolves. Shepherds are complaining of losses among their flocks, villagers are worried about their children, and politicians of all parties are sounding the alarm and calling for wolves to be shot and a ceiling to be set on their numbers. All just hysteria? Or do wolves actually pose a threat? 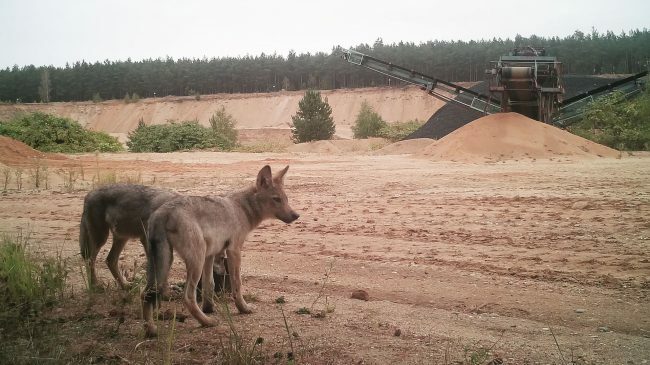 Is the impression correct that the spread of wolves in Germany is out of control and that they represent a real danger? Filmmaker Herbert Ostwald spent months talking to wolf researchers, local authorities, villagers, wildlife filmmakers and shepherds to get to the truth. His research presents a far more nuanced picture than the headlines suggest. Wolves are neither monsters nor cuddly toys. We can live with them. What we need is an objective debate rather than heated exchanges. This film offers surprising insights and unique images of wild wolves in Germany, some of which have never previously been shown on television.